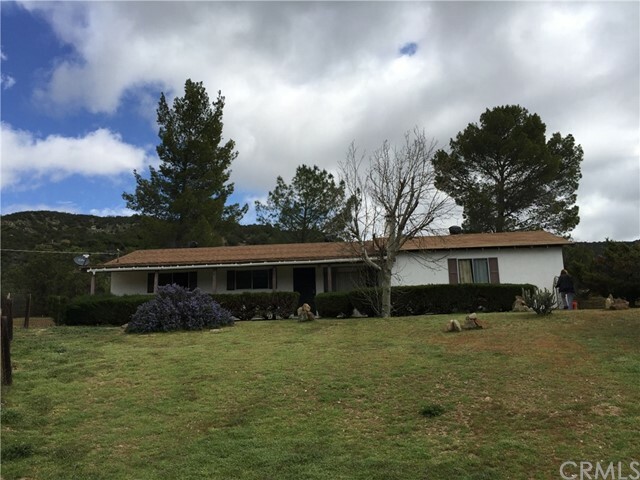 All Warner Springs homes currently listed for sale in Warner Springs as of 04/21/2019 are shown below. You can change the search criteria at any time by pressing the 'Change Search' button below. "Current use, 29+ acre drug rehab facility. 11 Rooms, 62,000 gal pool, Commercial kitchen and dining facility, 2 Tennis courts, Meeting Room (Course Room) Office Building, Running Track, 5 Bedroom House overlooking property." "39 ACRE MULTI RECREATIONAL ESTATE AWAITING YOUR ENJOYMENT! 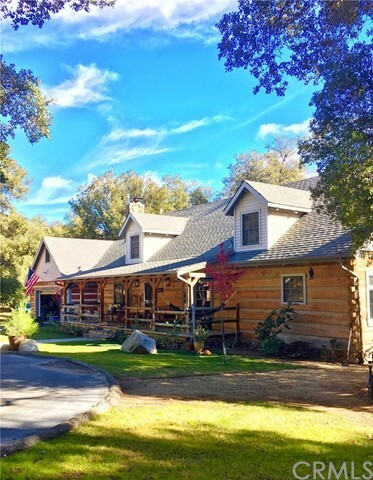 Bordered on 3 sides by BLM and Cleveland National Forest, Bucksnort Ranch lends itself to numerous outdoor recreational activities including horseback riding, hiking, hunting, motorbiking, falconry, team building & more! Multiple trail access connecting to the Pacific Crest & California Riding & Hiking Trails. Have a green thumb? Grow your own fruits/vegetables or try your hand at viticulture! This Custom home features 3363 sf, 4BD/3BA,"
"Custom built in 1989 by famed ballplayer & San Diego Padres general manager Roger Craig, this handsome, hewn log, 4 bed/3 bath pool home is over 3500 esf, & every space w/in is an absolute charmer. 40+ acres, situated at San Felipe Creek headwaters on the north eastern plateau of Volcan Mtn, appx 3500 ft elev, & enjoys a fascinating, romantic history; from being the ancestral home of our Native American neighbors, to once being on the immigrant trail of the Butterfield Stage line, & now the Paci"
"Two master suite stylish hewn log construction home (4 bed/3 bath total,) gourmet kitchen, moody living rm w stone fireplace, loft, full bar/billiards, att garage. High end appliances, furnishings convey. In ground pool & deck, new equipment, 8 stall barn, round pen, hot walker, corrals, fenced paddocks. Well cared for & laced oaks. Park. On seasonal creek. Paved, gated entrance. Xlnt quality & production water well. Within EASY reach of Julian, Borrego Springs, Temecula's wine country, airports"
"VERY Special Craftsman Custom Built Ranch Home. This a fantastic floor plan, everything is large scale including two 3 Car garages (one detached) great for car collectors, hobbyist, GYM or man cave. Inside beautiful formal dining room with built-ins, Large formal LR and X large great room plus built in bar area. 3 Fireplaces will keep you warm an cozy during the winter months. Warner Springs Ranch Resort is a great home away from home (Golf, New Pools, Dining and so much more to come. See Websit"
"SEOB $595k-$649k. This 57+ac paradise is ripe and ready for vineyard, orchard, horse farm or DREAM RETREAT. 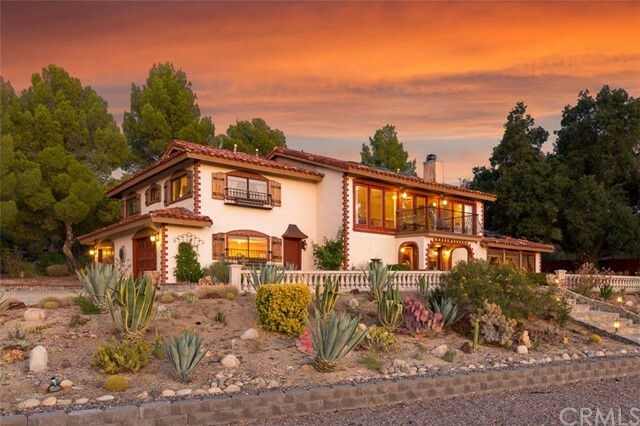 400Amp electric services residence with custom 1BR +loft, 2ba Artistic Contemporary Sedona-style hacienda. Custom carved doors, unique appointments, custom stamped concrete flooring, granite kitchen counters, quality custom woodwork throughout. Touch of sassy, hip-cabinetry in guest bath. Home approx 2300esf of living: approx 1700/plans + 2 extra rooms/off plan. C-Supplement for more"
"Stunning Spanish villa surrounded by elegant outdoor living area situated on a spacious parcel. This home is iconic in its own right for lighting up at night, hosting unforgettable festivities, memorable golf get togethers, and Warner Springs Ranch Resort after parties. Multi-level floor plan with intimate rooms are tied together by a mezzanine, arch ways, hand- stained Saltillo tile flooring, beautiful ornamental wrought iron stair rails and hand painted tile stair risers. Details are captured "
"Stunning Spanish villa surrounded by elegant outdoor living area situated on a spacious parcel. This home is iconic in its own right for lighting up at night, hosting unforgettable festivities, memorable golf get togethers, and Warner Springs Ranch Resort after parties. Multi-level floor plan with intimate rooms are tied together by a mezzanine, arch ways, hand- stained Saltillo tile flooring, beautiful ornamental wrought iron stair rails and hand painted tile stair risers. Details captured thr"
"Are you looking for open spaces and a home on land in rural Southern California? Look no further. 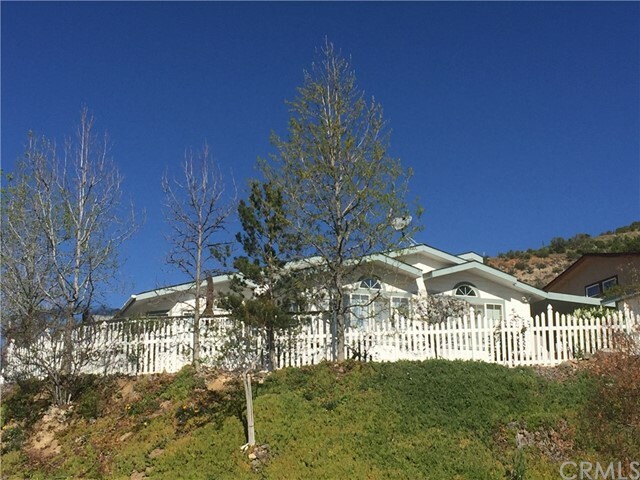 After 35 years, owner is ready to move on from this wonderful 38+ acre property, just a short 30-minute drive east of Temecula, CA. A mile and a half from the 750-acre Emerald Creek Winery, the largest winery in San Diego County. A weekend get-a-way, farm, vineyard, ranch, or contractor s residence are just some possibilities. Property borders public BLM land on the south line. Deck o"
"This character-rich home boasts wood engineered and oak distressed floors. 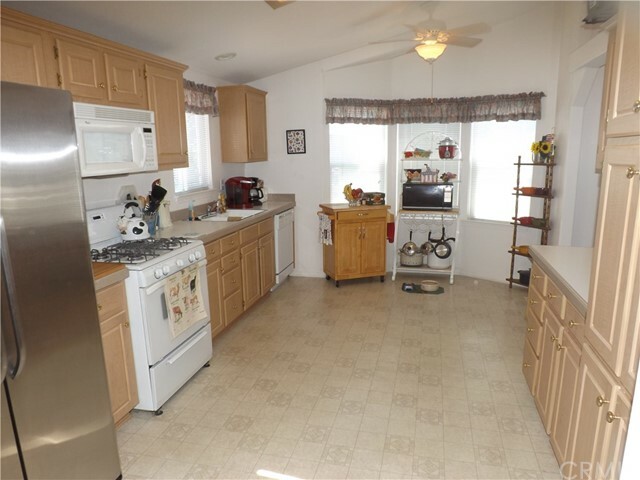 The kitchen appliances are new.The home has central heating and air conditioning. Every window boasts views of the native landscape and oak groves which lace the 9.55 acres it sits on! The 40x70 metal workshop is wired with 100 AMP Service 120 and 220 volts. Extra items, such as the brand new, manual, Yamaha 7200 watt generator and a useful car lift are personal/negotiable items. The well was drilled in 2004 and at that t"
"Privacy, serenity, wildlife, unobstructed views, clean water, fresh air, oak grove, and plenty of wide-open space. 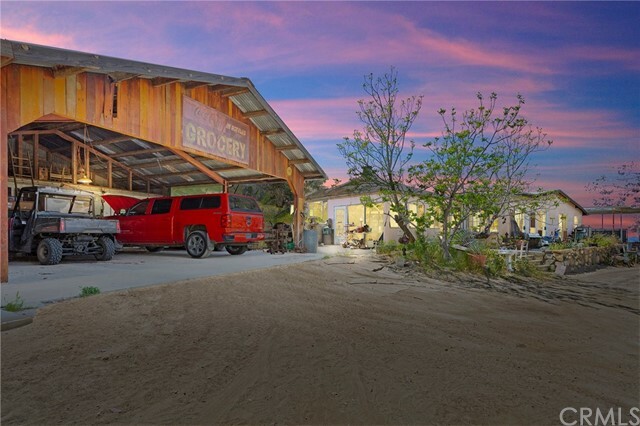 This 2-bedroom, 1-bath, 1408 SF home built in 2004, situated on 9.55 acres is accompanied by a 40 X 70 metal workshop, a high producing well, and a 10,000-gallon storage tank. Legal deeded access, AG zoning, O animal designation. Permaculture, horse stables, glamping, car collecting, animal raising are a few ideas possible to do with this versatile property. If stillness calls, it"
"BACK ON THE MARKET * Custom built home with panoramic view of Palomar Mountain - Holcomb Village and vineyards. First floor, all 3 bedrooms downstairs, along with the 2nd bathroom with laundry area and entry. The 2nd story, kitchen, dining room living room & .5 bathroom, open great room with gas fireplace, the entryway to the upper deck. Fabulous views from the second story. Forced air heating, 2 a/c units. 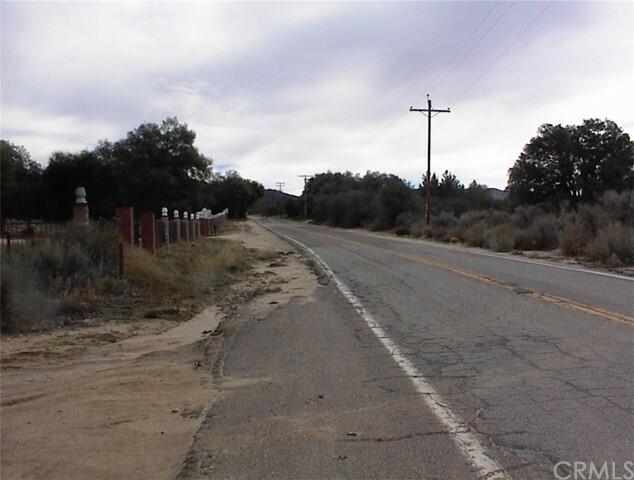 2.58 acres of land with a shared Mutual Water company well, meters & fire hydrant to a to"
"Ranch home with agricultural use opportunity on 7.42 acres! 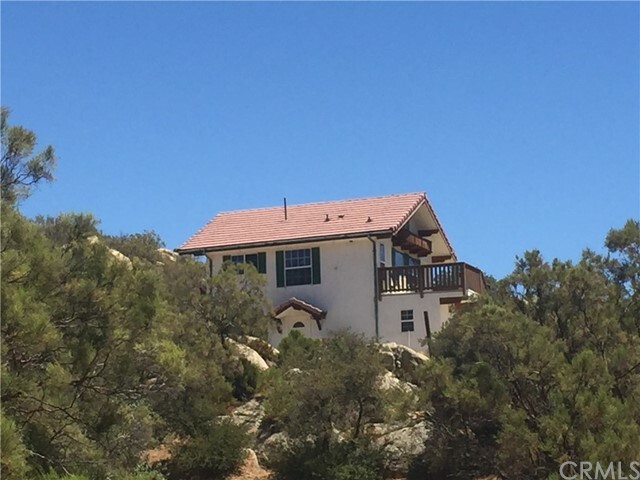 Original home perched ideally midway up the landscape on Palomar Mtn foothills, Sunshine Summit, Warner Spgs. Charming features, open ceilings, great layout & gardens surrounding. Small glasshouse nursery. Det studio across small courtyard. Garage space. Auxillary dwelling for agricultural housing permitted. Views over neighboring vineyards on the North Mtn Wine Trail. Ideal income or vacation rental." 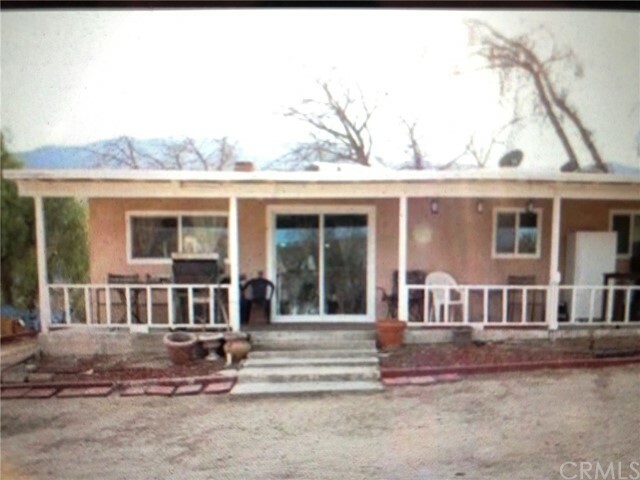 "This home is in a good location in Holcomb Village-Warner Hot Springs. Just off the Hwy 79 State route, the home has a nice view of Palomar mountain. 3 bedrooms, 2 full baths. Fireplace in the living room makes the home cozy and warm in winter. Open floor plan with kitchen open to the dining area. Newly remodeled bathrooms, 5.22 acres of usable land. Attached 2 car garage and a 2 car carport off the back sliding door entry to great room/dining area. Sheds, partially fenced for livestock - chicke"
"WOW!! This property is intended for Active individuals! Located at the very edge of the Cleveland National Forest you can hike starting at your backyard every day! Bright open floor plan with breathtaking views from most all windows. Huge master with additional sitting/reading room that looks out to nearly 3,000 sq. ft. of deck on which to relax after a busy day or entertain friends and family. Beautiful gourmet kitchen with center island cooktop and plenty of counter space for entertaining. See"
"Rare find in this beautiful park! 3 bdrm 2 bath home w/ a three car garage, great floor plan w/ an open feeling and AMAZING views! This home has a Southwest flare & colors to brighten the 1750 sq. ft of living space. Outside offers you the feeling of relaxation while taking in the views & inspiring creativity! Close to fishing, hiking trails, hotsprings, wineries, golf, glider port Warner Springs resort & wild life in it's natural setting. Perfect location for your 2nd home getaway or year-rou"
"Great big triple wide open floor plan - 3 bedrooms, 2 bath Silvercrest home, 6 exterior walls and 18 eaves. The quality shows in the interior bull nosed drywall details, dual pane mullion windows plus exterior of the home with vinyl fencing, custom Composite Decking, stairs + concrete sidewalk, bring your pet. Breathtaking views to the of Warner Basin Valley & Mnt. Palomar. Master suite with a spacious master bathroom with 2 sink vanity + spa tub & easy entry shower. " "HANDSOME acreage, nearly 10 usable acres, small park with oaks, seasonal creek, VIEWS, great well water, power, septic in place. A70 zoning. In heart of Chihuahua Valley, Warner Springs, a haven for horsemen & women, farmers, artists, lovers of nature, peace, quiet and wide open skies. Ask about outstanding construction and lot purchase loans available. This locale would be an ideal permanent homestead, vacation rental or GLAMPING site. 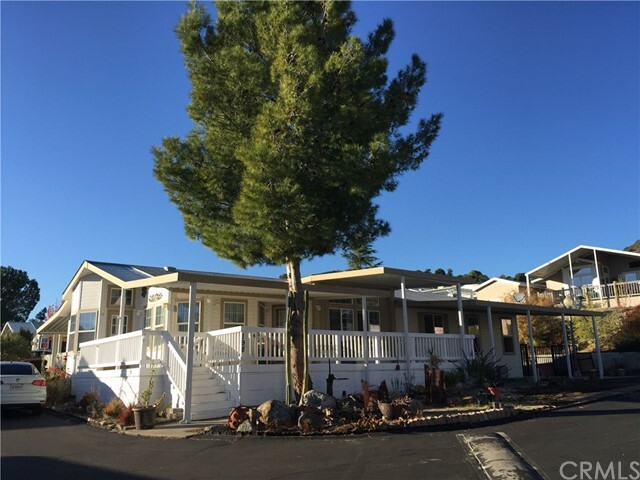 Trailers and manufactured home on site convey with sale, wi"
"Stone Ridge is a beautiful 55+ retirement community. Beautiful manufactured home with land ownership. 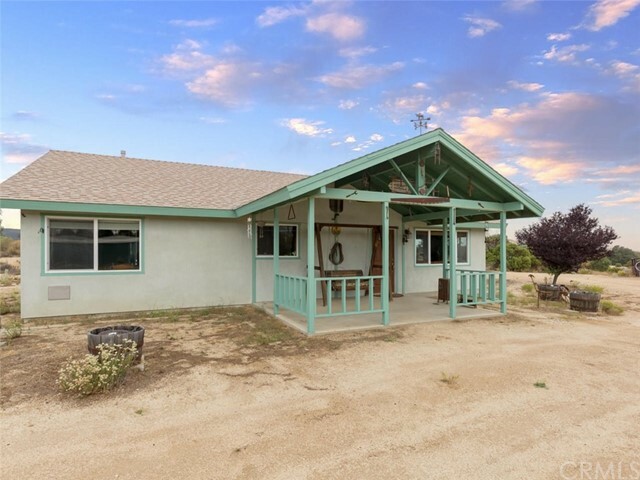 Located in Warner Springs for quiet country living. Just 10 minutes to the South is a golf course and restaurant. Stone Ridge offers a Clubhouse with a community pool & spa, fishing lakes, hiking trails, and scheduled social activities. Very serene setting and just 30 minutes from Temecula. Enjoy all the 4 seasons on your vast wrap around deck, rear patio deck, and a tool shed." "New carpet flooring in this roomy home. Large living room & separate dining room open kitchen with breakfast area. 3 bedrooms and 2 full bathrooms, separate laundry room and entry from carport.2 sheds and wrap around deck facing east and south and some fencing in the backyard. concrete driveway and sidewalks on all 4 sides of home/ small yard to maintain.,2 car carport and parking under an awning in front for one small car or trailer. Corner lot has a peek a boo view from the dining room. Warner"
"Ideal location for a vacation home or a permanent residence with beautiful mountain views, fresh spring air and an active community to be part of. Updated, cozy and charming 2 bedroom, 2 bath home sitting right in-front of the lake within the popular 55+ Stone Ridge community. Live surrounded by mountains, hiking trails and fishing spots. Don t miss this opportunity to own your piece of this community!" "Relaxed country living at it's finest! Very desirable 55+ community of Stone Ridge in Warner Springs. Come and enjoy the sights from your large wrap-around deck with views of the mountains, back country, and wineries. Country style kitchen with bay windows, formal dining room opening onto deck, living room with wood-burning fireplace and dormer window. Laundry room has built-in storage. The Master Suite has a walk-in wardrobe. There is a garage and Tuff shed for extra storage. Dual pane windows,"